Once upon a time there lived inside a hollow log in a hidden mountain meadow a wee brown chipmunk named Chichester Cathedral. Chichester Cathedral was a lively creature. Cheerful, busy, filled with boundless energy, she loved to race through grasses, climb tall trees, and scurry across fallen logs. She had bright dark eyes that moved swiftly from side to side. They sparkled in the sunshine, and twinkled in the moonlight. Her teensy nostrils constantly flared as she sniffed the myriad scents of the fields and the forest. 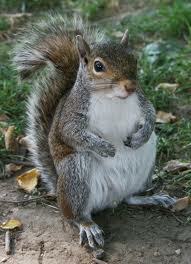 Her tiny paws moved swiftly over every nut she found. She twisted each kernel, pip, and core with rapid movements of her diminutive delicate claws. Her sharp little teeth nibbled quickly. She gobbled some. But others she cut open gracefully, and carried off for her sister Chrysanthemum and her brother Chadwick. Chrysanthemum was less grandiose. She began her day by cuddling with her Ma, Camilla the Kindly, and her Pa, Chronology the Younger. No one could explain why her father was called the Younger, since there was no Chronology the Elder. Nor could anyone explain why he was named Chronology, because he had a terrible sense of time. Therefore his wife called him Chiclet, and his children called him Pa.
Our heroine never cuddled with their neighbor, a stern unfriendly chipmunk named Constipation. Nor did she cuddle with Constipation’s daughter, Chronic Illness. Everyone in the homeland liked Chichester. Not just liked. Everyone admired Chichester, and everyone adored her. Why? Because she was happy, kind, genial, and generous. She made every animal feel more thankful to be alive. Every creature who lived in The Meadow Bountiful felt united by their love for Chichester Cathedral. Species who normally ignore, dislike, compete, or fight with one another put their differences aside. Despite their enormous diversity of shape, character, and purpose, they all felt joined with one another by the affection they shared for their gentle little friend, the sweetest chipmunk who ever rambled. They were unified, too, by the love they shared for their homeland. Their world was filled with beauty, plentiful with food and water, and replete with safe, sheltering hiding places. 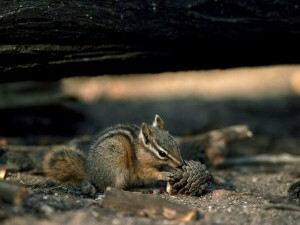 Chipmunks are curious beings: adventurers, explorers, mischief-makers. Like all chipmunks, Chichester Cathedral got into many scrapes. So did the other animals. As they lived with and helped one another over the years, they became extremely close. One night as they all rested together by the meadow’s calm quiet pond, they decided they were more than pals. They were, they declared, dear and permanent friends. That very evening they held a ceremony, and they named themselves The Circle Eternal. There were two reindeers brothers, Rock and Roll. 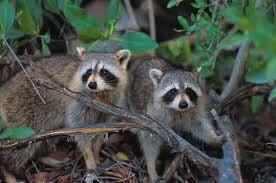 There were two raccoon sisters, Rhyme and Reason. 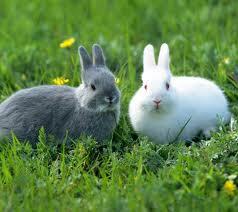 There was a rabbit named Rutabaga, and his sister Radish. There was a wolf named Wellington, and a weasel named Wendell. There was a modest pond turtle named Pontius Titus, and her first cousin, Polonius Tusk. 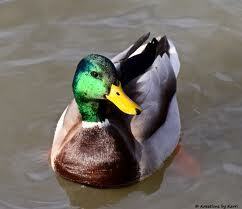 There were three birds: a duck named Detlef, a heron named Hallelujah, and an owl named Omelet. 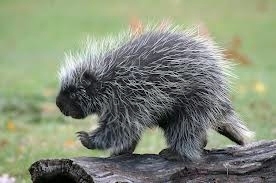 Plus a porcupine named Peek-A-Boo, a Moose named Montgomery, a skunk named Sushi, and a feral cat named Cranston. They agreed they would conduct a ceremony once each week to celebrate their friendship. They asked Chichester to lead their service. We sing that we will be friends forever and ever. We sing that we will live together in peace and play. We ask every living creature to band with us in loving The Meadow Bountiful, protect it as best we can, and bless it for its abundance and its beauty. Each Friday at dusk the friends’ voices soar in joyful melody as they make their vow, and thank the meadow. Many creatures heard their chant. Many joined The Circle Eternal. Soon the field and the forest became a place of concord and union among all the living things who dwelled within it. One afternoon in late December, just before sunset, Chichester Cathedral bounded about in the woods that surrounded The Meadow Bountiful. All of a sudden she stopped, stood stock still, and sniffed the forest air carefully. She had noticed a large cloud of dust rising on the outer edge of the meadow. This was followed by a startlingly loud, most unpleasant sound. A grating. A grinding. A growling. Chichester dashed to the top of her favorite cedar. She crept carefully along its vast upper limb, rose on her rear paws, and squinted her shining eyes. Below her she beheld a sight she never before had seen. It was a large squat rectangular shape, seemingly not alive, yet moving fast, crushing grasses, shrubs, and flowers, leeching fumes from a stubby pipe projecting from its rear. Without regard for the topography, without regard for all the flowers, foliage, hives, burrows, and nests, it moved forward, forward, forward, crunching everything in its reckless, relentless path. From within the bouncing bulky object many noises poured outward. Bumptious crashing from its strange, rapidly moving circular feet. Angry roars from its iron belly. Shouts and squeals from its metallic midsection. These were sounds unlike any birds’. Sounds raucous, shrill, not sung but voiced. Voiced by voices the startled chipmunk could not recognize, because she never before had encountered them. From high above Omelet the Owl fluttered down, and settled on the cedar’s limb. Chichester asked if her friend knew what this destructive object was called. Chichester chirped and chirped. Omelet hooted and hooted. Throughout the forest replies resounded. Footfalls and wing beats echoed from the tree trunks. The Circle gathered. When all the friends arrived, Omelet explained everything she knew about humans. She lowered her sage head and shed tears of sorrow. She stopped, and wept anew. Then she stood tall, and wiped her wide capacious eyes with her talons. At that moment the object Omelet had named camper skidded and sluiced across a thick patch of tall vivid wildflowers and slithered to a halt. The animal friends crawled to the rim of the meadow, and peered with anxious eyes. Indeed they did. From the doorway belched two small ones. Then another. They were the children of the Hideous family. Their names were Honking, Howling, and Harrumph. Out staggered their Mom. 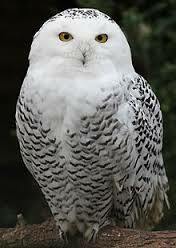 Her name was Hootenanny Hideous, but everyone called her Hoot. Out traipsed Horrid. He was more than more than six feet in height, and nearly, it seemed to the animals, as wide as he was tall. Certainly he was a sizable fellow. Everyone in the family cheered. Even Harrumph. Horrid stretched copiously. He rubbed the unkempt hairs on his prune head, looked left, looked right, spun himself around, took in everything. Then he emitted gas noisily from his stomach through his mouth. Horrid stretched again, and sent Harrumph to fetch him another beer. Hoot asked him to bring her another Yoo-Hoo. “Ah, geez,” complained their grouchy son. “Why am I the one who has to do everything around here?” And off he slouched, grumbling, slamming the camper door behind him. When Harrumph returned with the beverages, Horrid sat on a stump, settled Hoot beside him, and signaled that their children should sit before them. His face reddened with excitement. His breathing quickened. He pointed his fat forefinger at the forest. “We’ll tear out these useless trees. Cut them down. Sell the timber, chop up the brush. He tugged at the seat of his colorful shorts, waved his bottle with one hand, slapped a bare kneecap with the other. Horrid tipped up his beer, drank it down, hurled the bottle, and guffawed as it crashed in the field. And off she clambered to the camper kitchen to microwave dinners for her brood while her husband and their children fired up the gasoline generator to fuel their video games. As the noxious Hideous family gobbled their dinner and played games of warfare against soulless corpses on their brand new Microsoft X-Box, the terrified animals crept silently to The Boulder Of Amity. Wellington the Wolf spoke first. His eyes were wide with horror, but not with fear. 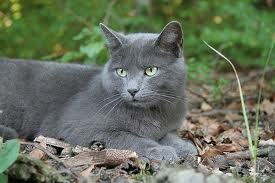 Like all his courageous kind, Wendell feared nothing and no one. Everyone agreed, as the bashful Omelet trembled with embarrassment. Her crimson blush showed vividly against her snowy white plumage. Wellington turned to business. He was, after all, by nature a hunter. 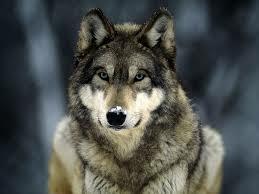 He turned his noble face side to side, and cast his burning eyes upon the circle of silent friends. 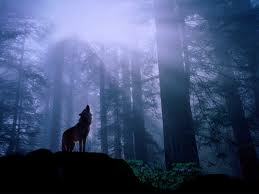 He lifted his snout to the sky, and howled softly. He elevated his lips and gnashed his teeth. Montgomery the Moose nodded his great head. 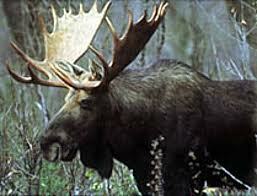 His mighty antlers glimmered in the gathering moonlight. Wendell the Weasel held up his paw. His friends knew him to be a clever creature. He praised the courage and power of the wolf and the moose. He spoke highly of all the other species whose help The Circle Eternal could enlist. Wendell gave his friends time to absorb these truths. Then he bared his teeth, as Wellington had bared his. 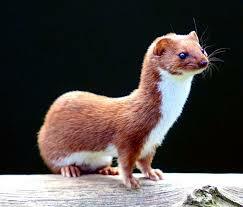 A chorus of agreement greeted the weasel’s wise counsel. 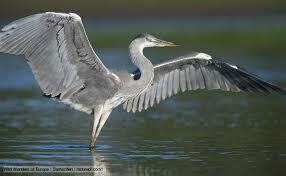 Hallelujah the Heron noted that birds are swift, fierce in their own way, and equipped with powerful beaks. In some cases, with piercing talons. Rutabaga and Radish noted that rabbits, too, are swift, capable of unpredictable twists and turns, and surprisingly capable with their teeth and their claws. Rhyme and Reason noted that raccoons are famously wily, exceptionally crafty, nimble and agile, fast as blazes, and to be feared when in combat. 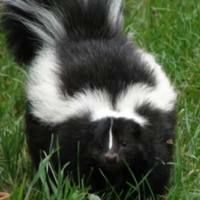 We skunks certainly do stink. Although not members, Sedgwick the Squirrel and her petite husband Magnificence the Mouse had tiptoed to the outer reaches of The Circle Eternal. Sedgwick was smart, and she was funny. She darted round and round the circle to demonstrate the wily ways of nature’s rodents. Then she resumed her seat on the edge of The Boulder Of Amity. This caused a hubbub of agreement and glee. Cranston the Cat was an excellent orator, and a fine mimic. He was famous for his Winston Churchill imitations. We shall not flag or fail. We shall go on to the end. We shall fight on the seas and oceans, we shall fight with growing confidence and growing strength in the air, we shall defend our island, whatever the cost may be. We shall fight on the beaches, we shall fight on the landing grounds, we shall fight in the fields and in the streets, we shall fight in the hills; we shall never surrender. In the midst of all the hope and hilarity, Omelet the Owl noticed that Chichester Cathedral was weeping. This plan makes tears come into my eyes. Silence befell The Boulder of Amity. 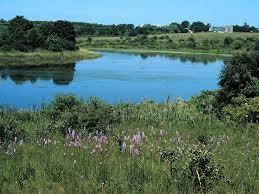 In her gentle way, Chichester reminded the animals that The Meadow Bountiful loves love. The Meadow Bountiful wants kindness, peace, and unity, always. Just then, as if by a miracle, the moon, almost as full as during its harvest cycle, broke through the thick cloud cover and shed radiant pure silver all over The Boulder Of Amity. It fell most brightly and particularly upon the quivering little chipmunk. The chipmunk opened her eyes. As she spoke, she looked searchingly into each of her friends’ faces, friend by friend, one at a time, each in turn. She waited while everyone gathered their calm. She waited once more. All the friends settled quietly, and found comfort. The animals lay silently listening. From each there seemed to arise a glow similar to the moon’s. By this time, only Chichester Cathedral was not weeping. Every other animal in The Circle Eternal was crying openly. They were not sad. They were not afraid. They were crying with happiness. Omelet hugged Chichester with her wonderful whispery wings. Wellington stroked her with his warm, luscious fur. Rhyme and Reason caressed her with their mysterious dark masks. Montgomery rubbed her with the soft moss that tipped his majestic antlers. Sushi brushed her with the nonthreatening fleece of her gorgeous tail. Swiftly they made their plan, and silently they carried it out. All the animals foraged in their own way for a gift of token. Some gathered exquisite stones. Some collected boughs of pungent pine. Some assembled cones and nuts. Others plucked grasses, perfumed petals, wild rose hips, graceful garlands, bouquets of holly, and posies of mistletoe. Side by side they padded to the camper. The humans Hideous were sleeping. They did not hear a thing. Late the next morning, Howling and Honking woke up. Suddenly they became wordless. Howling gaped. Honking gasped. Harrumph wheezed. As one, they dashed into the camper, roused their parents, and led them outdoors. Side by side, they stood speechless at the base of the stairway. Before them, arrayed in a vast arc of greeting, lay all the animals of The Circle Eternal. They were joined by many other creatures who had been summoned by Samson and Sedgwick. All manner of birds, rodents, and mammals. A vast assembly of insects. Worms, snakes, snails, turtles, frogs, beings small and large in numbers massive. Above the surface of the silent pond poked the smiling faces of hundreds and hundreds of trout, bass, pickerel, sunfish, and eels. Every creature was smiling warmly. Upon each there shone the brightest, purest rays of sunshine. Arranged before the crescent of welcome were gifts of every variety imaginable. Branches and boughs, sticks and stones, buds and blooms, saps and syrups. Every gift radiated in the sunshine, and reflected off the pond waters crowded with creature heads. The family Hideous held their hands to their hearts, and kneeled on the grassland. Tears welled unbidden and unwiped from their wide eyes. Smiles formed on their faces. Even the habitually downturned mouth of Harrumph flickered, fluttered, then burst into a helpless grin. Hoot sobbed. Horrid bawled. Their children wept. Chichester Cathedral crept forward from the circle. She climbed across Horrid’s outstretched hand, mounted his mottled arm, touched his bulbous cheeks one at a time, and lay her tiny head on his furrowed brow. That morning, then and there, on the spot, the family Hideous resolved they would use all their power to protect the animals and preserve The Meadow Bountiful. We all do have power, you know – if we will choose to know our power, and use it. First, Hoot cleaned up her Yoo-Hoo cans and Horrid collected his crushed bottle shards. Then they called their attorney on their cellphone, and directed her to donate every square inch of their property to the Nature Conservancy with immediate effect. The Conservancy gracefully received the gift. As is their practice, they used every law of the human species to ensure The Meadow Bountiful never, ever, will be disturbed. Hoot and Horrid sold their camper. They bought a truck equipped to operate on natural gas, fitted it out as a mobile veterinary clinic, and became legendary in the animal world as benefactors and healers. However, no one received more benefaction and healing than they themselves. Ma and Pa Hideous became very happy, long-lived persons. Honking, Howling, and Harrumph gave away all their electronic toys. They studied well in their schools and, later, in their universities. In her adulthood Honking became an environmental attorney and, later, an activist judge. Howling became a director of the national forest service. Harrumph became a philosopher of religion, and a professor of consciousness studies. O, the animals lived happily ever after. As may we all – if we will see The Meadow Bountiful, if we will hear The Meadow Bountiful, in which we too, every one of us, do dwell. We are pleased to certify that every single word of this story is absolutely, 100%, totally true.